On Thursday, March 4th, the World Trade Center Transportation Hub in Lower Manhattan officially opened to the public. 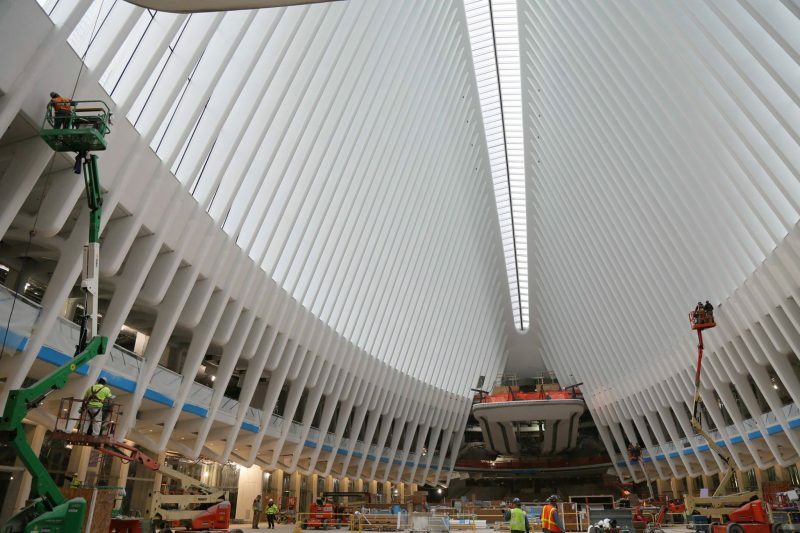 The hub replaces the PATH train station that was destroyed during the 9/11 terrorist attacks. 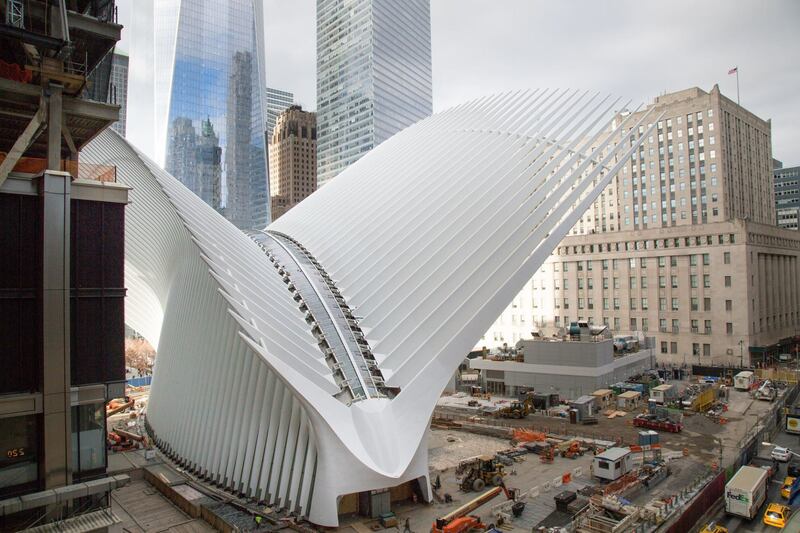 Designed by Spanish architect Santiago Calatrava, the Transportation Hub is composed of a train station with a large and open mezzanine under the National September 11 Memorial plaza. This mezzanine is connected to an aboveground head house structure, called the Oculus, located between 2 World Trade Center and 3 World Trade Center, as well as public concourses under the various towers in the World Trade Center complex. In addition, the station was designed to connect the PATH to the New York City Subway system, and to facilitate a below ground east-west passageway that connects to the various modes of transportation in Lower Manhattan, from the Fulton Center to the Battery Park City Ferry Terminal. Furthermore, to replace the lost retail space from the original Mall at the World Trade Center, significant portions of the Hub will be devoted to the new 365,000 square foot Westfield World Trade Center mall. It took over 12 years to construct. Spanish architect Santiago Calatrava, designer of the station, said the Oculus resembles a bird being released from a child's hand. The roof was originally designed to mechanically open to increase light and ventilation to the enclosed space.The design was further modified in 2008 to eliminate the opening and closing roof mechanism because of budget and space constraints.On November 5, 2015, the transportation hub was delayed to early 2016, due to a leaking roof. Critics have blasted the hub for its massive cost overruns ($4 billion in public money) and lack of anything resembling a traditional train station (ticket machines, clocks, maps). But its existence is significant, if only because the hub represents the type of ambitious open spaces that used to exemplify public transit in the US. Grotesquely expensive, sure. Tough on the eyes, no question. But at least we all get to share in the spectacle.